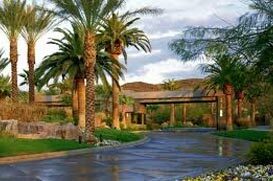 In Las Vegas, luxury guard gated community real estate is always in high demand. There are several areas in and around Las Vegas where you can find extravagant custom homes. Some of these areas are developments where you can buy larger lots to build your dream home, while others are more rural desert estates or on golf courses. Many exclusive communities in Las Vegas, Henderson and North Las Vegas offer resort style pools, tournament quality tennis courts, basketball courts, parks, walking paths, recreation centers, and sweeping views of beautifully maintained greenbelts. In high-end home properties, the sky is the limit in luxury estate living. Possibilities for your very own custom home are endless. Spanish Trail, Las Vegas Country Club, Lake Las Vegas, MacDonald Highlands, The Ridges, Canyon Gate, Red Rock Country Club, Eagle Hills Country Club, Seven Hills and Anthem Country Club to name a few, all offer guard gated private custom home living. Currently, you will find that homes in gated communities are listed for as little as $300,000 and can exceed 10 million dollars depending on the area you choose. In general, most gated properties average around $2 million in price. Contact us to find the right one for you.